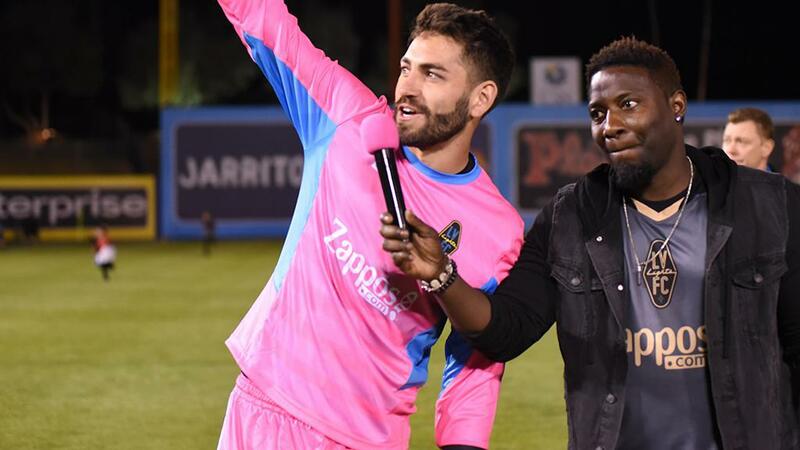 LAS VEGAS – As one of the few holdovers from the club’s first season, Las Vegas Lights FC goalkeeper Thomas Olsen can certainly speak to the changes that have arrived with Head Coach Eric Wynalda at Cashman Field. “It’s been a lot,” Olsen said this week. “The coaches in general are different guys, come from different backgrounds, and definitely a different style of playing. I think we’re also a lot younger this year than we were last year. As a native of Las Vegas, Olsen has also seen the changes that have arrived in the city’s soccer community over the years. While there has been plenty of talent to come out of Las Vegas in the past, former United States international Herculez Gomez being the most prominent, the overall soccer scene is now starting to draw a bigger spotlight in the national picture. Current Rangers defender Matt Polster, as well as recent Seattle Sounders FC signing Danny Leyva, Phoenix Rising FC loanee Tristan Blackmon, Pittsburgh Riverhounds SC’s Christian Volesky and Saint Louis FC’s Joaquin Rivas all grew up in the Las Vegas area. With Lights FC’s arrival there’s also now a visible professional side for the region’s young players, something that Olsen certainly didn’t have when he was coming through the ranks. According to Olsen, Wynalda has taken a hands-on approach to forming ties with clubs around the city, inviting local youth coaches to the club’s first training session among other initiatives. As tied to Las Vegas as the club’s image has been, that should bode well in the future as more players look to follow in Olsen’s footsteps. Now 24 years old, Olsen is four years removed from being part of the United States squad that competed at the FIFA U-20 World Cup in New Zealand. 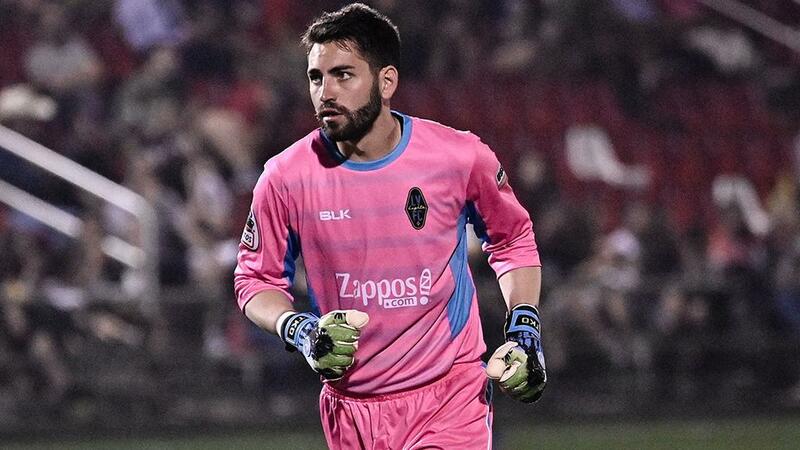 One of two backups to current United States Men’s National Team goalkeeper Zack Steffen on that squad alongside current Memphis 901 FC loanee Jeff Caldwell, the experience of that cycle and tournament – especially competing against the hosts in front of a pack stadium in Auckland during the group stage – is one that has endured. Olsen still stays in touch with teammates like Steffen from that tournament, which saw the United States reach the Quarterfinals before falling to eventual winner Serbia in a penalty shootout. Last week he was reunited with current San Antonio FC loanee Bradford Jamieson IV, who found the net against his former national team colleague, something Olsen says he gave him a hard time over. Next week when Lights FC heads to face Rio Grande Valley FC, another member of that squad in Conor Donovan will likely be in the lineup for the Toros. The next edition of the FIFA U-20 World Cup arrives next month in Poland, and Olsen has already gone up against one of the goalkeepers that could be part of Tab Ramos’ squad in Real Monarchs SLC’s David Ochoa. Also in the picture is Tacoma Defiance’s Trey Muse, who could be in the opposite goal this Saturday as Lights FC returns home to Cashman Field. Olsen’s advice to them, and to all the players who earn a place on the final 21-man squad, is to make sure they embrace the moment. Lights FC will be looking to get back in the win column against Tacoma on Saturday after a slower start to the season than it had hoped for, but Olsen is optimistic that the side is growing well as Wynalda works to build up players to enter games in a positive mindset. There will almost certainly be plenty of the extended Olsen family in the stands, too, and whatever the result they’ll have a good postgame meal in downtown Las Vegas – Olsen recommends Carson Kitchen or Esther’s Kitchen if you’re in town. And in the big picture, being able to play a role in building a successful club on the field and showing the pathway for others to follow is Olsen’s biggest source of pride as a son of the entertainment capital of the world.